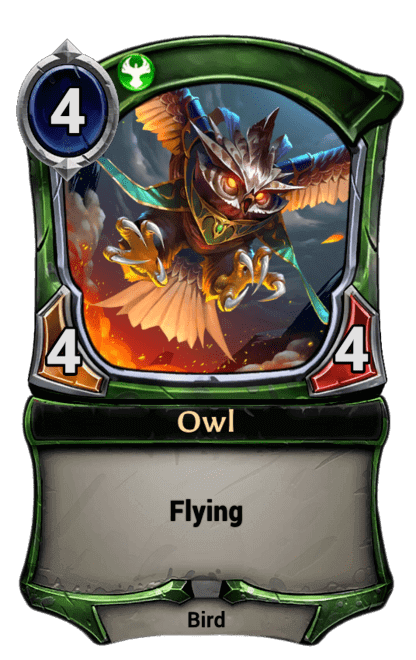 Play a 4/4 Flying Owl for every 4 maximum power you have. Flying - Flying units can only be blocked by other flying units, but can block ground units normally. They can also be directly attacked by Killer units and Relic Weapons. I'm kinda curious as to why this is even a Combrei card. 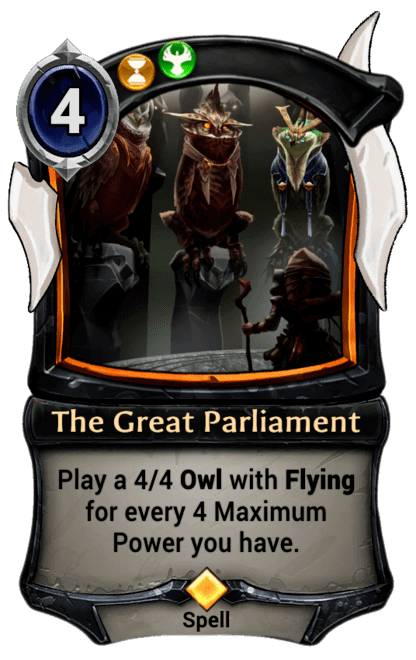 The design is right up Hooru's alley. Combrei gets way more legendary units and tech than all the other factions, for some reason.